In its thirty-year history, NTT has developed into a leader in the support of communications infrastructure, and the company is now poised to target a full-scale roll out of overseas operations, continually transforming to meet the technology needs of global customers. 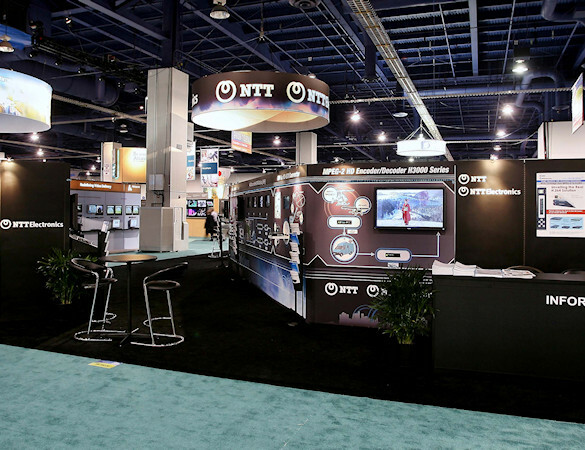 Based in Tokyo, NTT turned to Idea International when it was time to develop global markets at the National Association of Broadcasting (NAB) show in Las Vegas, NV, USA. 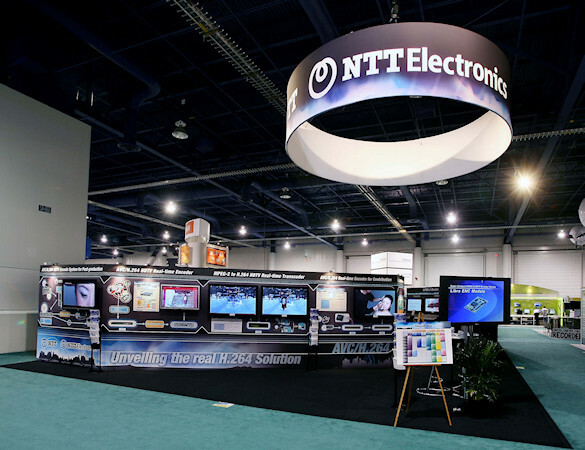 This striking exhibit, with its overhead sign noticeable across the convention floor, communicates the depth of NTT’s product offerings to a multinational attendee base.